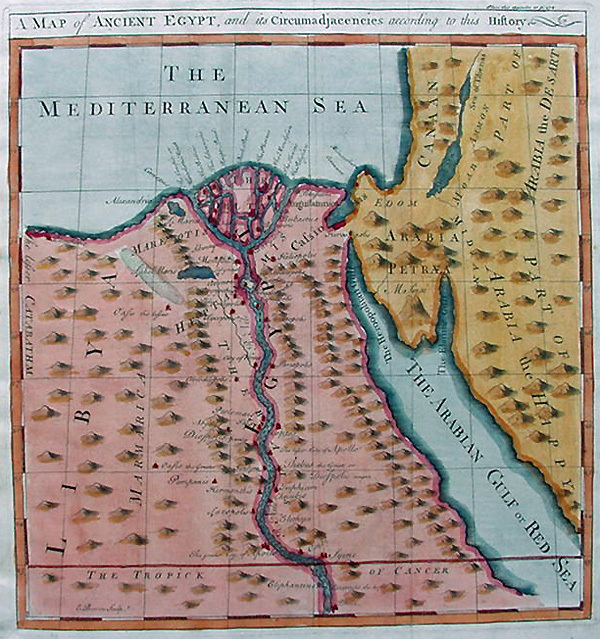 In Ancient Egypt, the Nile Delta was a floodplain. Every year, the waters of the Nile rose far above the banks and deposited silt and sediment across the golden plains. 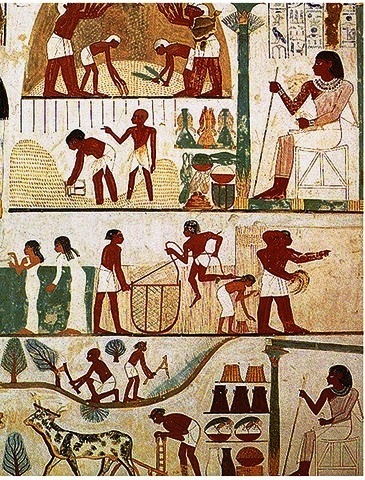 Then the waters would recede and leave extraordinarily fertile soil for Egyptian farmers to plant. Herodotus, the celebrated historian of the 5th Century BC, tells us in his Histories that farmers have never had it so easy as the Egyptians of the Nile Delta. He said that once the floodwaters receded, farmers would simply walk into their fields and broadcast their seeds by hand, and then turn pigs loose to trample the seeds into the soil. The farmers then took away the pigs and returned in three months to harvest an amazing bounty of barley, beans, lentils, fruits, and vegetables. The Nile Delta transformed Egypt into an empire, and the surplus of the farms fueled the work of the pyramids, the armies who conquered the desert, and the coffers of the mighty pharos. Herodotus tells us that King Sesotris, one of the great pharaohs, divided the land of the Nile Delta into large squares of equal size and gave one square to each family to farm. He then taxed all of the farms equally. However, each year, the river rose and receded to different levels, causing some parts of the squares to go out of cultivation. King Sesotris allowed farmers to file a tax return based on the amount of their land that had fallen out of production. Unfortunately, the math to compute surface area did not yet exist, and the tax collectors were not able to calculate the unequal and odd shapes of farmland submitted for tax returns. According to Herodotus, this is how geometry was invented; to help King Sesotris evaluate the tax returns of his farmers. Euclid, the father of geometry, came along much later, and he set his axioms to geometric law long after the writings of Herodotus and the reign of the pharaohs. But if you were a farmer in the Nile Delta, you could be sure that the IRS agents of the king, armed with their new invention of geometry, could assess your taxes with unprecedented accuracy, and not a bean nor a barley seed would be missed. The government always finds a way! Very interesting post, even for someone like me, who tends to be just a touch math-phobic.